Responding to questions on blocking the proposal to tag JeM chief Masood Azhar a terrorist, China's Foreign Minister said the decision is in line with the rules of the UN committee. Beijing: China on Thursday sought to defend its fourth technical hold at the UN Security Council to block the designation of Pakistan-based JeM chief Masood Azhar as a global terrorist, saying it would help the parties concerned to engage in more talks to find a “lasting solution” acceptable to all. The proposal to designate Azhar under the 1267 Al Qaeda Sanctions Committee of the UN Security Council was moved by France, the UK and the US on February 27, days after a suicide bomber of the Jaish-e-Mohammed (JeM) killed 40 CRPF soldiers in Jammu and Kashmir’s Pulwama, leading to a flare-up in tensions between India and Pakistan. The Al Qaeda Sanctions Committee members had 10 working days to raise any objections to the proposal. Just before the deadline ended, China put a “technical hold” on the proposal seeking “more time to examine” it. Asked why China once again resorted to block the move, Foreign Ministry spokesman Lu Kang told a media briefing here that Beijing’s decision is in line with the rules of the committee. China “sincerely hopes that relevant action taken by this committee will help relevant countries to engage in dialogue and consultation and prevent adding more complicated factors into regional peace and stability,” he said. “As to the technical hold at the 1267 Committee our action is to make sure that the committee will have enough time to study the matter so that the relevant sides will have time for dialogue and consultation,” Lu said. “Only a solution that is acceptable to all sides could fundamentally provide a chance for a lasting solution to the issue. China is ready to communicate and coordinate with all sides including India to properly handle this issue,” he said. 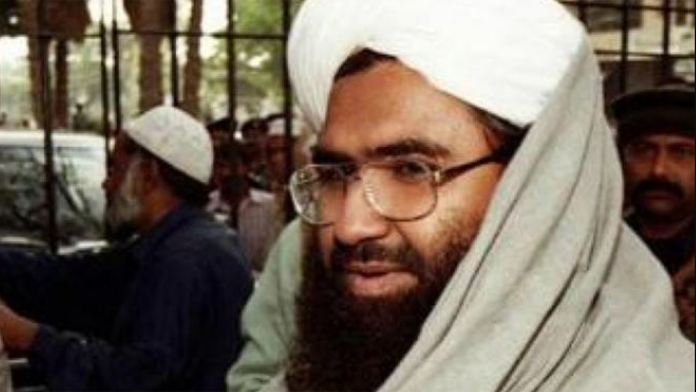 “This has prevented action by the international community to designate the leader of Jaish-e-Mohammed (JeM), a proscribed and active terrorist organization which has claimed responsibility for the terrorist attack in Jammu and Kashmir on February 14,” the MEA said. Without naming China, it said the UN’s 1267 Sanctions Committee was not able to come to a decision on the proposal for listing Azhar on account of a member placing the proposal on hold. On the Kashmir issue, Lu said China’s position on it is clear and consistent. “This is an issue that is left over between India and Pakistan. We hope that the two sides will engage in friendly dialogue consultation and solve this issue and other related issues,” he said.